Military combat photographers will tell you that part of the job involves accepting that their next step may be the last. This image is the last photo military photographer Spc. Hilda I. Clayton ever took. 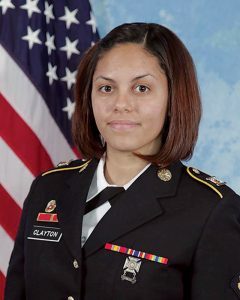 While photographing a live-fire training exercise, a mortar tube exploded, killing Clayton and the four Afghan National Army soldiers with her. The Pentagon released the photo in “Military Review” last week. 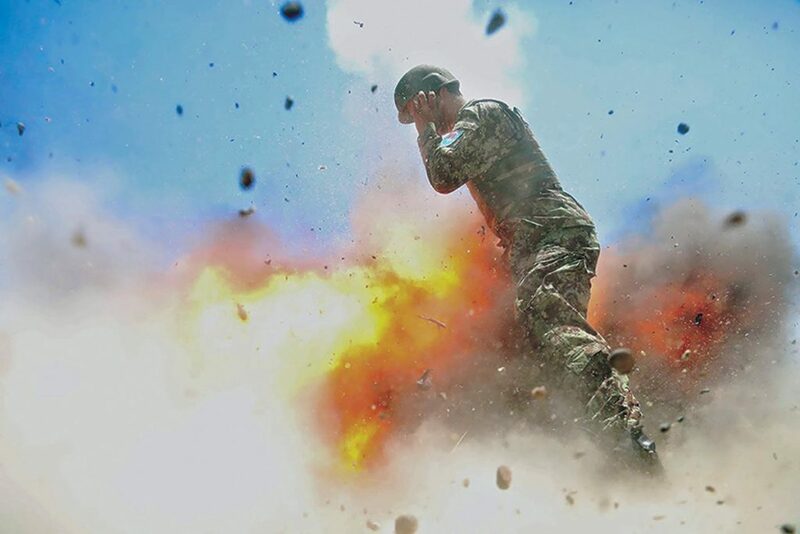 Clayton died, camera in hand, on June 2, 2013 in Laghman Province, Afghanistan. She is one of more than 2,200 U.S. troops killed in Afghanistan since the United States invaded in 2001, according to the Pentagon. As a visual information specialist in the 55th Signal Company, Clayton photographed military missions and history. The military used her photos to gain a more complete understanding of how ground operations played out. The picture sat in a file for nearly four years before one of Clayton’s fellow soldiers stationed in Afghanistan brought it to managing editor William Darley of the “Military Review.” Darley said after he deliberated with Clayton’s family and husband, all parties decided it would be a fitting tribute to her work and sacrifice. 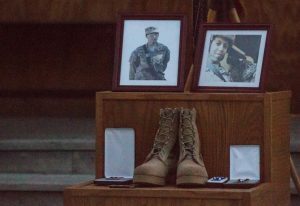 The photo drew emotional reactions from soldiers across the military and civilians alike, most especially from military photographers and conflict photographers. “Her last image will be a part of history,” Air Force combat photographer Staff Sergeant Ashley Brokop, who worked for more than three years in Iraq, told the PBS NewsHour in an email. “ I feel her bravery when I see this image,” she wrote. “My first reaction was, ‘My God, that exact situation could have happened to me a million times,’” said Lynsey Addario, a New York Times photographer who has spent many years of her career in Iraq and Afghanistan documenting the military and covering numerous conflicts. Addario, who photographed the 173rd Airborne Brigade Combat Team for two months in the Korengal Valley in 2007, said she has often been at training exercises just like Clayton, where something could have gone wrong. “It’s incredible she shot until the very end,” Addario told the NewsHour. Combat photographers train extensively and understand death’s nearness at all times, said Sgt. Stacy Pearsall, a combat photographer in the Air Force for more than a decade. “Every morning that I went to document combat, I accepted death as a possibility,” Pearsall, who served in Iraq and Afghanistan and traveled to dozens of countries while in the service, told the NewsHour. “Only then could I truly push aside all those other thoughts and just get down to business and do my job,” she said. The military uses combat photographers’ work for a variety of purposes from forensics to documenting prisoner transactions and gathering intelligence. Combat photographers also receive weapons training and they learn military strategy and lingo. “Combat Cameras” or “COMCAMs” in military lingo, are on the front lines, trained to work with the infantry. With that assignment, comes a dedication to the mission and to the craft, Army combat photographer Sgt. Jacob Smith, who served in Iraq on and off between 2003 and 2009 said. “I never placed personal safety into account when it came to getting the imagery needed to tell the story,” he wrote in an email to the NewsHour. Combat photographers do not have the same flexibility as civilian journalists who have the ability to leave before a tour is finished. Military photographers are there for the duration of a tour. “You’re not going home,” said Erin Kirk-Cuomo, a Marines photographer who served in Iraq from 2006 to 2008. “You’re there with your unit and you are an integral part of that mission,” she said. Many military photographers, reflecting on Clayton’s death, said they were moved by what the photo represented to them. “I’m honored to call myself a combat photographer given the caliber of the men and women who also call themselves combat photographers, because I think [Clayton’s] actions and her sacrifice show the best of who we are,” Pearsall said. Correction: This story has been updated to reflect that Smith’s service was in Iraq.